I guess it was only a matter of time before Channing Tatum headlined another animated movie (he was previously heard in 2014’s THE BOOK OF LIFE), and SMALLFOOT seems as good an option as any. 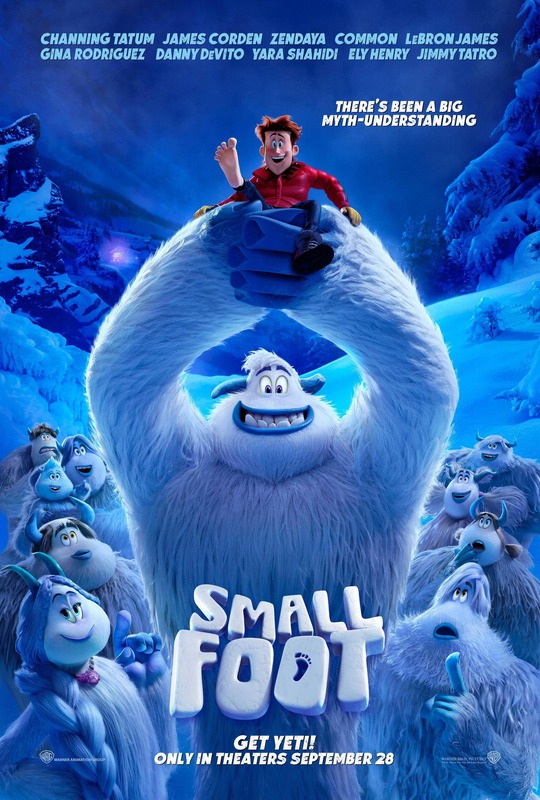 Having some fun with the abominable snowman mythology, Tatum plays a snow-dwelling yeti who is fascinated with regular humans, calling them “smallfoots”, though some of his people don’t believe they actually exist… a sort of role reversal on the bigfoot legend. The supporting cast includes James Corden, Zendaya, Common, LeBron James, Gina Rodriguez, Danny DeVito, Yara Shahidi, Ely Henry and Jimmy Tatro. Check out the final trailer below and tell us your thoughts in the comments.